The first call of the day was from David at DGM HQ - Sanctuary want a radio friendly edit of Eyes Wide Open. So David had a solitary Late Shift yesterday evening in DGM SoundWorld. We also discussed possible second editions of both The ConstruKction of Light & Heavy ConstruKction, moving forward with actualizing the audit of Virgin & BMG, and saying goodbye to the impossible Harry Fox. The Luvvie called this morning from Hull & I reported on Halloween evening in Bredonborough: around 18.45 four Halloweening young girls, well kitted out in frightening costumes & masks, knocked loudly on the door & demanded trick or treating. I gave them a small contribution for sweets and - to show my wife how scary they were - took a photo of them in the doorway. And how scary they were! A small but most enjoyable part of living in this community. Then I went down to my local, The Star, for a cider - the second time this week. Small but significant moments such as these add immeasurably to my life. Bredonborough is very much like Wimborne, Dorset, in 1975. Even the people are much the same, although the accents are a little different. Martin Small, for example, is now Nick Green of Brown's, so mostly Nick Green is called Nick Brown. A significant e-mail has not quite been definitively significant, and I have completed a press release for The Power To Believe. The management received a deserved complaint from one of the Crims commenting on an external press release that was exceptionally naff. So, as usually happens in Crimson when there is a query, or something goes wrong, or needs to go right, it gets passed to me and/or David Singleton to remedy, answer, repair or deal. In the past month we have spent long days compiling, editing & mastering the new album, spent hours on the telephone with Sanctuary's legal department in NYC negotiating the deal itself, flown to Japan for business & many, many interviews. And now I'm promoted to writing a press release. This is in addition to the auditing of Virgin & BMG. After 6.5 years of litigation in the Endless Grief debacle, as part of a High Court settlement concluded in September 1997, the royalty provisions were significantly improved. However, this fact was forgotten by both BMG & Virgin and has never been implemented. This is very serious. Record & publishing companies can "forget" their responsibilities to their artists - a simple accounting error! a small administrative error! - but forgetting to abide by a High Court settlement is quite a different league of amnesia. BMG have, to their credit, acknowledged their error & apologized. They are co-operating with our auditor but have still not quite taken on board the extent of their error. Virgin (actually now EMI) are, to their discredit, claiming to be helpful while arguing details, some of which insult the intelligence. This is the EMI Legal & Business Affairs Department in action. For two years, between 1991 and 1993, I argued my case with Virgin - that the sale of KC phonographic copyrights was deeply flawed & the Virgin acquisition of the company was unsound - and kept them copied on the Endless Grief correspondence. Nothing effective happened until a writ arrived, and action followed within the week. What should I learn from this, I wonder? The figures are, for a small & insignificant artist like myself, impressive. If this is incompetence, and I am inclined to the view that it is, I wonder what might be happening in the affairs of major artists or where a measure of "intentionality in the actualite" might be involved. No doubt, more on this later. This is in addition to other DGM concerns, such as the re-licensing of the complete KC catalogue; daily arising business. If I suggested that 3% of my professional life was directly involved with playing & writing music, I would be in danger of exaggeration. King Crimson has reinvented its wheel. Before, there was a wheel. Now, there is a wheel. In between is suffering. Happy With What You Have To Happy With (33 minute EP released by Sanctuary in October 2002) is the left hand. The Power To Believe (53 minute LP released by Sanctuary in January 2003) is the right hand. In the left hand are degrees of disappointment, resignation and despair. In the right hand, there is hope. In a strange and rapidly changing world, where reliable points of orientation shift position and small certainties of daily life appear to be threatened, there are times when reasonable people might despair. But hope is unreasonable, and love is greater than this. Happy With What You Have To Be Happy With (released in Japan as Shoganai with alternative artwork) is an introduction to The Power To Believe. The EP has an alternative edit of Happy on The Power To Believe and a Nuovo Metal performance of Larks' Tongues In Aspic (Part IV) recorded live in Nashville (October 2001). Mostly engineered and mixed by Ken Latchney & recorded at StudioBelew. 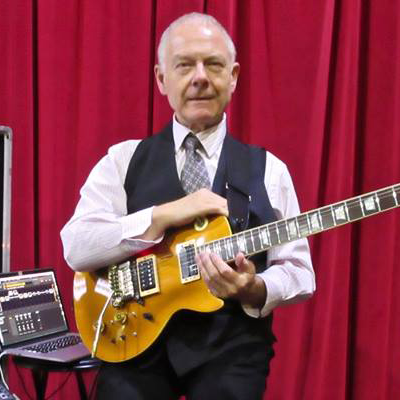 A Tone Probe production by Robert Fripp and David Singleton on behalf of King Crimson. Recorded by Machine, and produced by King Crimson & Machine, mainly in Nashville at The Tracking Room during July and August 2002. The Power To Believe is the culmination of three years of Crimsonising by Line-up Six that began at StudioBelew, Nashville, in October 1999 with the writing and recording of The ConstruKction Of Light, followed by extensive touring in Europe, Japan & the Americas throughout 2000 & 2001. Commentary, chit-chat, criticism, diatribes, dissension, opinionation and the occasional fleeting insight is available on the following websites to those with sufficient time, interest and a burning question. Better, much better, to seek for any answer within the music. Occasionally, and rarely, the music escapes the best intentions of those attempting to present it. This is when music comes to life, despite the best efforts of those involved in the process, and may properly be considered music. The rest is often an effort worthy of respect; as seeking to push the sea back from a threatened shoreline by blowing on the waters, or poking breaking waves with a pointed stick: the perseverance is admirable, the effort uncontestable, the results unlikely, the intent questionable. Fortunately, it is not in the nature of music to hide from those who wish to hear it, nor from those who hope to give it voice. The benevolence of the musical impulse is greater than we can know, and sometimes more than we can bear.